After citing strong sales of its 158 acreage lots in the Montego Hills community at Kingsholme, Villawood Properties Executive Director Tony Johnson said acreage land has become a popular choice among buyers. 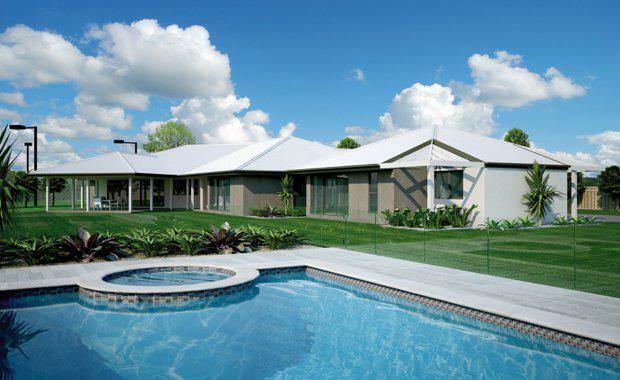 He said the soaring cost of city property and the growing popularity of sub-divisions is drawing more south-east Queenslanders to consider purchasing acreage land, as it offers extra space and value for money. “The price gap between acreage and suburban housing is quite small and savvy buyers are starting to recognise the amount of space they can get for their money, if they know where to look,” Mr Johnson said. “Acreage no longer has to to mean living miles and miles from everything: from Montego Hills, residents are just 5 minutes from the closest supermarket, 25 minutes to the coast and only a 40-minute drive to Brisbane’s CBD. "Mr Johnson said acreage in Kingsholme was unique due to its combination of rolling hills, proximity to shops, local amenities, access to transport and somewhere to build a dream home. “On an acreage lot, people get to make nature their neighbour and live in a peaceful, rural setting close to natural bushland and the beautiful coastline, while still having access to everything they need. “At Montego Hills we’ve had buyers build four, five and six bedroom homes, featuring state-of-the-art architectural features, like atriums and spacious split level designs," he said. To date, more than 80 per cent of acreage lots across the first four stages have been sold, with Montego Hills’ first residents settling into their homes earlier this year and a new land release coming soon. Villawood Properties is growing its portfolio of communities in south-east Queensland with the recent launch of The Surrounds at Helensvale, which joins Montego Hills at Kingsholme and the imminent release of a new project in the coming month.